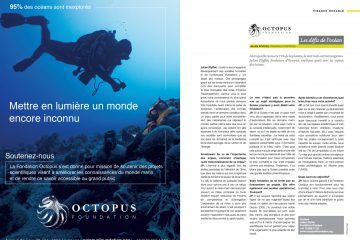 The magazine published by the French federation of scuba diving dedicated a double page of its November-December 2016 issue to the Octopus Foundation. 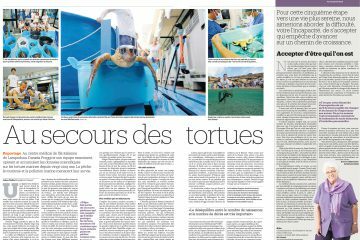 The weekly Swiss newspaper Matin Dimanche dedicated a double page for the Lampedusa project, explaining how the Octopus Foundation supports the marine turtle rescue clinic. .
Animan Magazine dedicated a quarter page to the Octopus Foundation in their July-August 2016 issue. 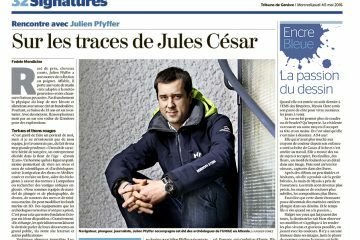 The following article in the Tribune de Genève looks into Julien Pfyffer’s journey to the creation of the Octopus Foundation. 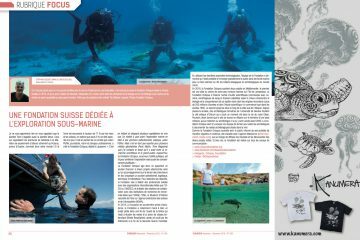 It also covers the historical project in Albania with the support to UNIGE’s team of archaeologists (University of Geneva).